Assuming you let your white chocolate set up more than I did before adding it, yours can be less runny! 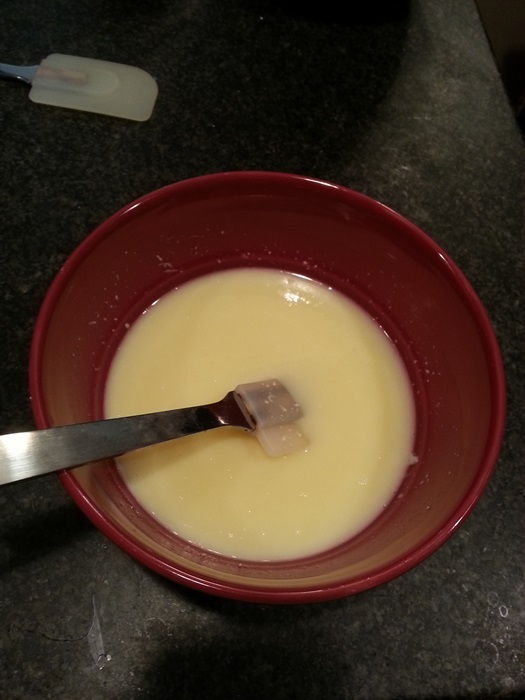 Put the white chocolate in a medium bowl. Heat the cream in a small saucepan until nearly boiling, then remove from the heat and pour over the chocolate. Stir together until smooth. Chill. 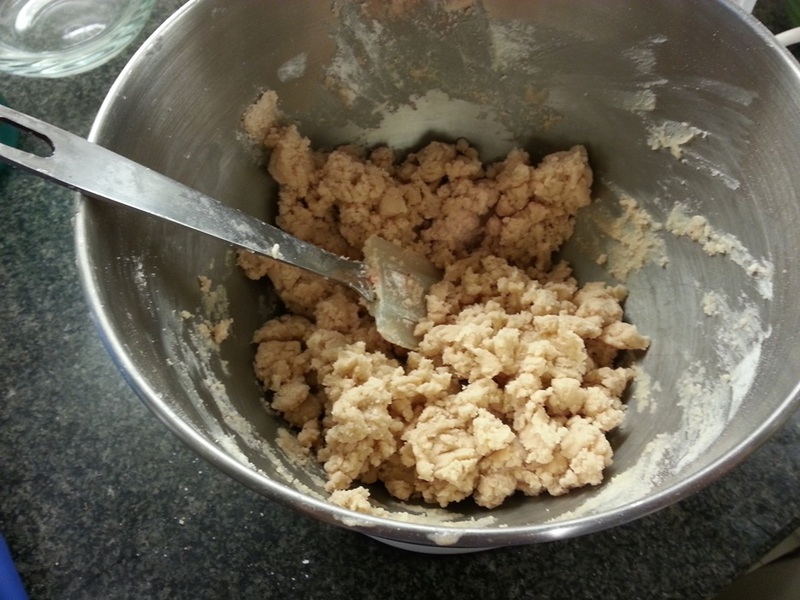 This mixture stays liquid for way, way longer than expected, so you might want to make it a few hours before starting the dough. 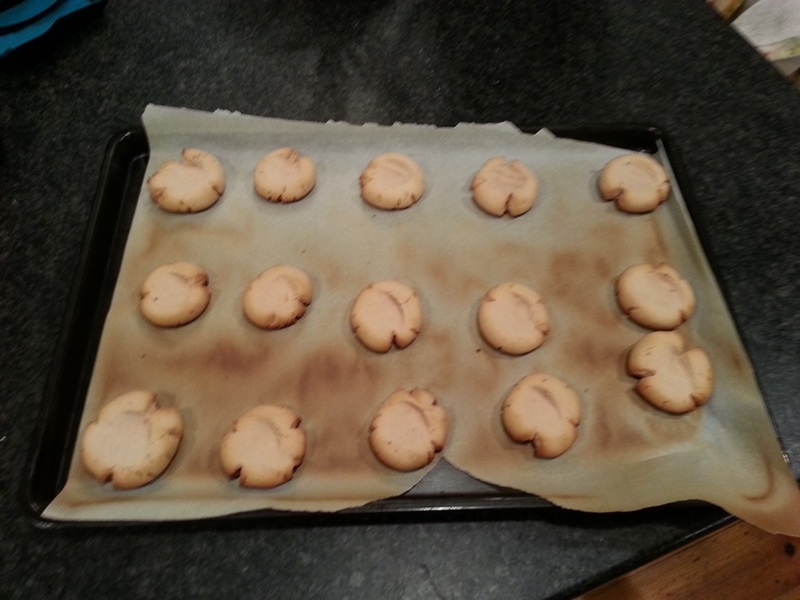 Preheat the oven to 350 degrees and line two sheets with parchment. Beat together the butter, powdered sugar, vanilla, and jam until smooth. Again, I’d probably use the beater attachment if there were one in this house. Beat in the flour and salt on low speed. 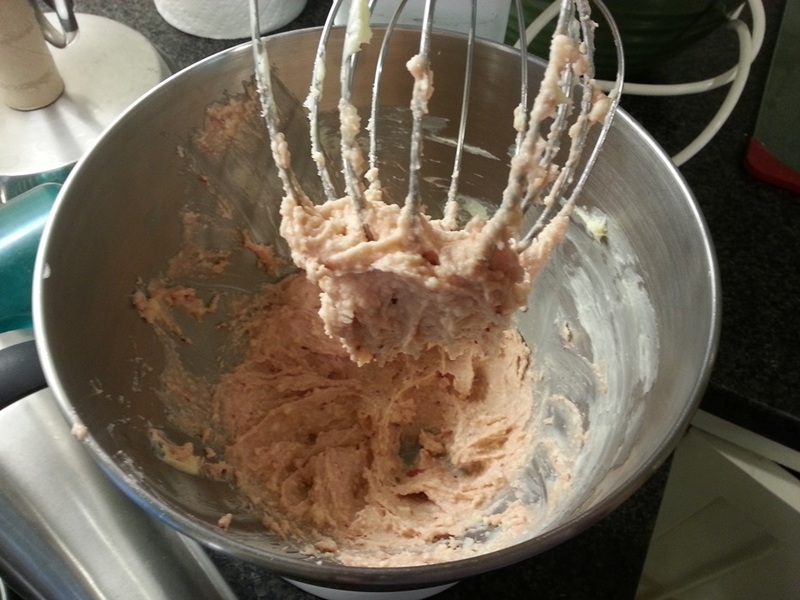 At first the dough seemed so dry I thought it would never come together, but after a few minutes of mixing it was just fine. Roll dough into 1″ balls and place on the sheets. 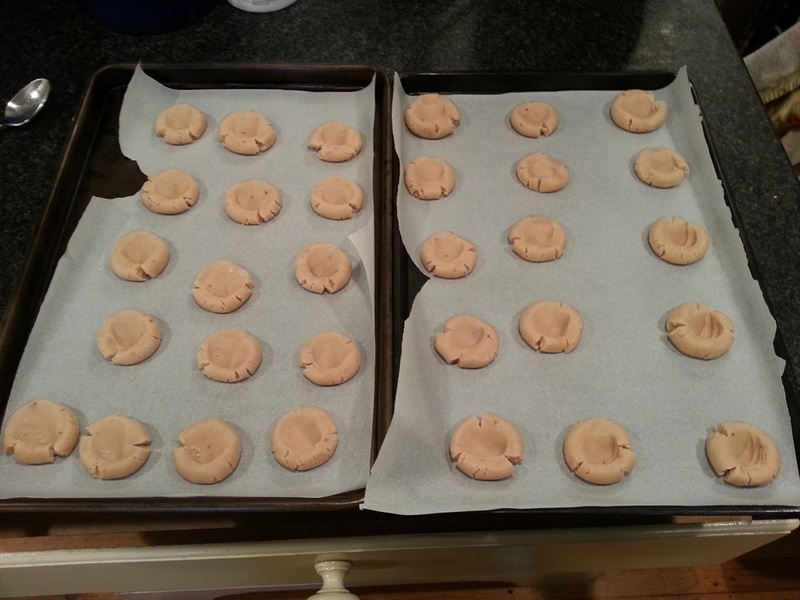 Flatten slightly, then press the back of a spoon into the center of each cookie to create a dent. It’s possible that actually using a thumb print would let you get a deeper, more even depression? Bake 10 minutes, until lightly browned at the edges. Transfer to a wire rack and let cool completely. Spoon the thickened chocolate mixture into the dent in each cookie, then chill to firm up further. 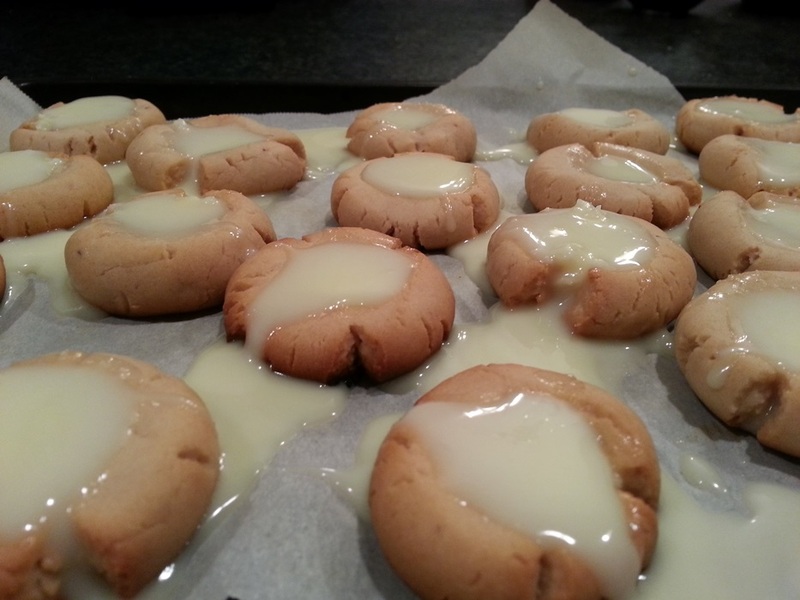 If the white chocolate hasn’t firmed up before you spoon it into the cookies, it’s just going to run out/everywhere, so do give it a long time in the fridge before you put it in the cookies. These were billed as a Valentine’s Day cookie, but why wait?! Put the white chocolate in a medium bowl. Heat the cream in a small saucepan until nearly boiling, then remove from the heat and pour over the chocolate. Stir together until smooth. Chill until firm enough it doesn’t run much but is still workable. Beat together the butter, powdered sugar, vanilla, and jam until smooth. Beat in the flour and salt on low speed until combined. 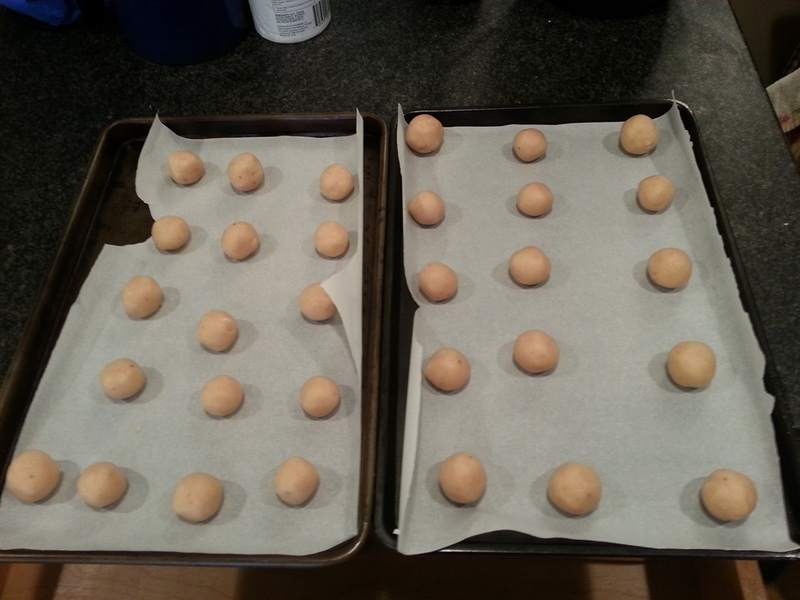 Roll dough into 1″ balls and place on the prepared sheets. Flatten slightly, then press the back of a spoon into the center of each cookie to create a dent. Bake 10 minutes, until lightly browned at the edges. Transfer to a wire rack and let cool completely. Spoon the thickened chocolate mixture into the dent in each cookie, then chill to firm up further. 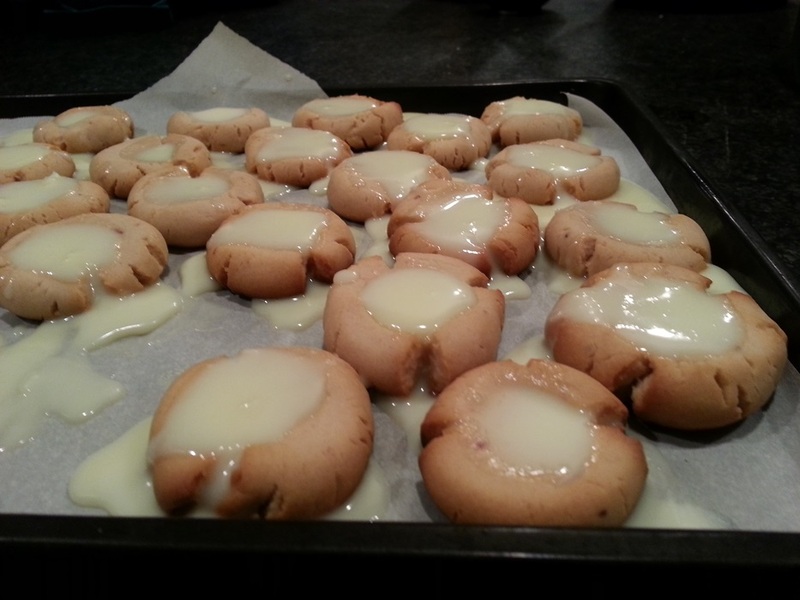 This entry was posted in Dessert and tagged Cookies, strawberry cookies, thumbprint cookies, White Chocolate. Bookmark the permalink.